ADHD, or attention deficit hyperactivity disorder, is categorized by difficulty focusing and overly active behavior that affects schoolwork, relationships, and well-being. 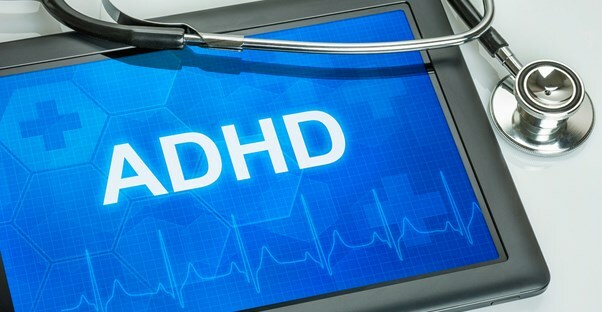 While ADHD is commonly diagnosed in childhood, it can continue into adulthood. At either age, ADHD can have a negative impact on sleep. Read on to learn more about the relationship between ADHD and sleep and how these negative effects can be mitigated. According to a Harvard Medical School study, 25 to 50% of people with ADHD report related sleep issues. In children and adolescents, this usually manifests as resistance to going to bed or trouble falling asleep. They also tend to move around in their sleep more than other young people without the disorder. According to the National Sleep Foundation, the resultant loss of sleep can actually worsen the symptoms of ADHD. In fact, for some patients with mild ADHD, getting enough sleep may be enough to eliminate troubling effects of the disorder. While experts aren't sure why sleep disorders and ADHD are so closely connected, there are four prevalent theories: that sleep problems directly correlate to ADHD; that they correlate to a co-existing disorder such as anxiety; that they result from the medications used to treat the disorder; or that there is no correlation, since an estimated 25% of all children will have sleep problems at some point. If you or your child are taking ADHD medication that is causing sleep issues, talk to the prescribing doctor. He or she may be able to suggest alternative treatments that will not affect sleep; this is critical, since sleep issues can actually worsen ADHD symptoms, while quality sleep can improve daytime behavior in most kids. Some doctors, for example, recommend limiting the use of stimulant medications during vacations and weekends when the child is not in school. Only in the most extreme cases should sleep medication be prescribed, particularly in children.